As part of my Internship with Erzullie, I was asked to do an Interview with the Erzullie Icons. I was excited to finally have a chat with them because last time I saw the models was during the Editorial photo shoot for the Corporate and Resort collection and we were all super busy that day. Ms. Aries told me brief backgrounds about them that helped me build my questions for the interview. It was really supposed to be a face-to-face interview but with the lack of time, I resorted to having an online interview with them. I was also tasked to do a Photo shoot with them (Yey! Photoshoot!!) to go with the interview. NO! handling a Photo shoot all by myself was the hardest thing (so far) that I had to do during this internship! It was so hard to coordinate everybody’s schedules so that we only had to do 1 shooting day. I had to coordinate with the models, the photographer and a find a location to do the shoot and agree on 1 day to do the shoot; but I knew it was impossible. So now, I have to do 2 photo shoot days. I thought of having the first shoot during the holy week so that some of the models don’t have work to go to. I also thought of having the shoot around Eastwood because not only was it accessible to all of us but also, the overall look of the photo shoot was somehow like model on-the-go at the streets of New York. 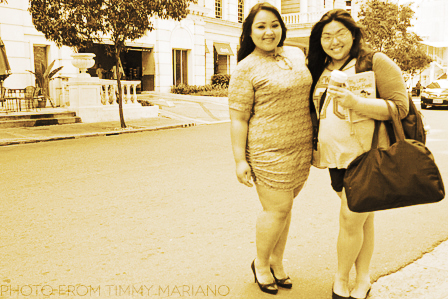 For the first day of the shoot, the models that were available that day were Ms. Kat Catapia and Ms. Loren Monares. I scheduled them at different times so that we only shoot one model at a time and I don’t want the other model to wait for her turn. The day before the shoot, I emailed ms. Kat and Ms. Loren to remind them about our shoot. It was sad that Ms. Kat couldn’t make it because she had a car accident (but don’t worry! She’s fine!) 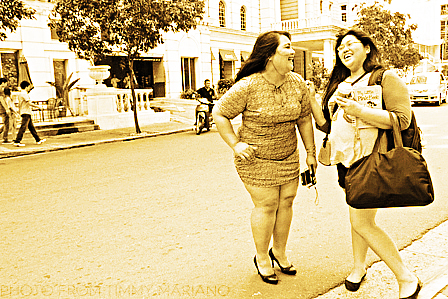 Sayang, It would have been super fun to shoot the both of them. On the day of the shoot, I arrived with the photographer, my good friend Marjorie Calasin, by 10:30 to do test shots and to find a good spot before the models arrived by 12. 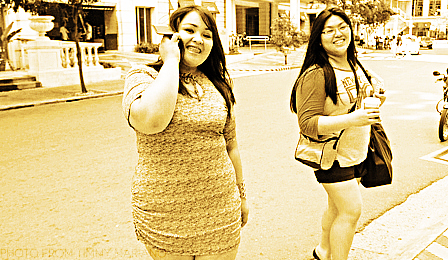 The sun was unbearable so instead of doing test shots, we ended up chilling in J.Co donuts. By 12, Ms. Loren Monares arrived. All I can say was that she looked absolutely stunning (as you can see in the photos). I had a blast doing the shoot with her and most of her photos were very candid because we kept on laughing during the shoot. It was so much fun shooting her. The only problem I had during the shoot was finding a place for Ms. Loren to do change outfits. I’ll keep in mind, next time, to find a spot in Starbucks (sorry, desperate times call for desperate measures)where the models, not only comfortably wait but also use the comfort room to change). One word to end this all --- "whew!"